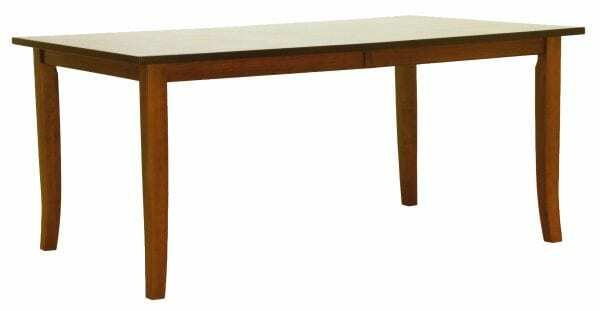 42″ x 66″ Carlisle Table shown in Cherry with optional Mission edge. Standard Features: #25 Carlisle top, 2 1/2″ wide skirting, #100 Half-Round edge, wood slides, self-storing leaves, 2 1/2″ Carlisle legs. Options: #10 Oval or #5 Round top, edge styles available .